Widowed in 2013 after 46 years of marriage. I’m very active in my church - worship choir, Bible studied and helpin facilitate the GriefShare support program. Also I have been active as group leader in Bible Study Fellowship for several years! Cynthia Batten Bailey has a birthday today. Cynthia Batten Bailey posted a message. Cynthia Batten Bailey posted a message on Cheryl Burr's Profile. Cynthia Batten Bailey posted a message on Diana Thomas' Profile. Cynthia Batten Bailey added a comment on Profile. Cynthia Batten Bailey posted a message. New comment added. Happy Birthday! Hope all is well with you. 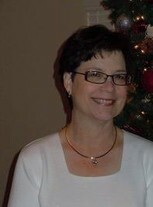 Cynthia Batten Bailey updated profile. View. Cynthia Batten Bailey has a birthday today. New comment added. Happy Birthday early!! Merry Christmas, too!! Cynthia Batten Bailey added a comment on Joyce Doak Walter's Profile. Happy Birthday, Cheryl! Have a blessed day!! Happy Birthday, Diana! Hope you have a wonderful day!!! Happy Birthday, Linda! Hope all is well with you!! Cynthia Batten Bailey added a comment on Diana Thomas Rooney's Profile.